Frequency range: any frequency within a +/- 5 % wide band in the range of 50 to 200 MHz. Typical application: IF receiver to be used with a UHF / SHF / EHF converter with a IF of 71.0, 110.0, 137, 144-148 MHz etc. Frequency control: Programmable via SHACKBUS interface in 10 kHz steps. 16 frequencies can be stored in EEPROM and selected by 4 switches / jumpers for stand-alone operation without controller. Data output: Two separate outputs for narrow (9600 / 19200 baud and FM audio) and wide (38400+ baud). Audio output: 0.3 watt speaker output with on-board volume and squelch control. Signal strength display: the signal strength can be displayed in dBm via SHACKBUS (calibrated with adjustable offset for additional converter gain). An analog meter can be connected. Center meter: the frequency offset (e.g. doppler shift) can be read out vie SHACKBUS, an analog meter can be connected. This output can also be used to control the AFC input of the PLL oscilator of the converter. Receiver circuit description: The input signal is amplified by an amplifier with high interception point for excellent large signal characteristics. 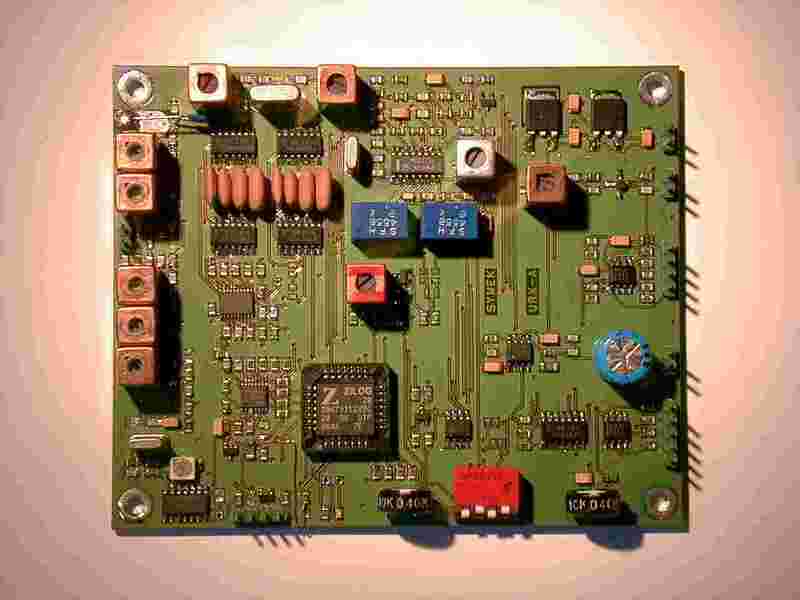 The local oscillator oscillates 10.700 MHz above the input frequency and is PLL-controlled (10 kHz steps). The 10.7 MHz IF signal passes two separate filters. There are 4 different pairs filters installed, switched by a SHACKBUS command. For wide band FM the 10.7 MHz is demodulated using a Q-multiplier for the quadrature circuit for better signal at 38400 baud FSK. Narrow band FM (for FM-audio, 9600 baud and 19200 baud FSK) is converted to 455 kHz and demodulated in a circuit with high linearity and flat frequency and phase response for best FSK data reception. Terminals: RF input, data (narrow) output, data (wide) output, audio output, AFC ( center meter) output, RSSI output, SHACKBUS interface, 10.7 MHz linear IF output, 12 volt supply terminals.